Of all short time investments opportunity in horticulture, vegetable farming is one of the few that stands at the very top. From an acre of pepper farm done at the right time and with right practices, you are assured of reasonable return on investment. However, this would not happen automatically, just like in every legitimate business: understand the principle, start gradually, scale up and become a pro. This is also applicable in vegetable farming. 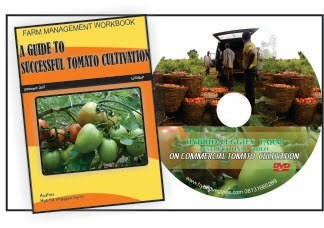 Before you embark on reading this article; I would suggest you first read Part 1 to understand how to lay foundation to becoming a successful pepper farmer and then you can now proceed to reading this. After transplanting your pepper seedlings, it is essential to apply some practices to ensure that you have good yield and quality produce. I would explain some of these practices bit by bit. To have exceptional yield, a fertile soil is a must. This is where fertilizer comes in. You have a range of options before you – from green to animal manure, compost to inorganic fertilizer. Ideally, it is advisable you do soil test but if your farm is located in a place with limited access to such opportunity among other reasons, you may just submit to using ‘blind application’. A blind application of fertilizer is a practice of applying fertilizer that contains all the essential nutrients without regarding the domicile nutrients composition in the soil. It surely would work provided you provide all the ESSENTIAL micro and macro nutrients. I would give you a summary of fertilizer program for pepper. Please note, it is essential you bury fertilizer; never apply granular fertilizer by leaving it on the soil surface otherwise you may just be wasting it. NPK 15:15:15 or 20:20:0 and Double or Single Super Phosphate (DSP or SSP) at 7-10g per stand: This mixture in the ratio of 50:50 can be applied as basal during transplanting or as side dressing 5 days after transplanting. The focal nutrient here is phosphate which supports root proliferation while the Nitrogen would aid early leave formation. Potassium is not needed at all at this stage. 7g to 10g per stand can be measure using leveled cap of soda bottle. NPK 20:10:10 or 15:15:15 at 7-10g per stand: This should be applied 2 weeks after transplanting as side dressing. The critical nutrient needed at this stage is Nitrogen which is responsible for massive vegetative growth. This can be repeated twice or if you can afford it; every two week as targeted application in order to stem leaching. Never use only Nitrogen based fertilizer alone (unless you are a pro) such as urea for this purpose because it may cause burning effect. NPK 10:20:20 or 15:15:15 and Murate of Potash (MOP) at 7-10g per stand: The mixture in the ratio of 40:60 can be used. This should be used 6 to 7 weeks after transplanting as side dressing. It can be done twice. The focal nutrients here are potassium and phosphorus which are responsible for budding, flowering and fruiting. Liquid fertilizer: Aside granular fertilizer, you could also applied liquid fertilizer through irrigation often call fertigation. Only make sure the liquid fertilizer contains these macro nutrients in the proportion shared. In addition, it is good you provide also essential micro nutrients to promote crop resistance to diseases, good yield and healthy growth. Therefore, ensure you apply liquid fertilizer containing major micro nutrients also as folia spray especially if you have been applying only granular fertilizer. You should also spray toward evening and every 3 weeks interval isn’t a bad ideal after all. Calcium fertilizer: Pepper may suffer from non-biotic disease called blossom-end-rot which is as a result of calcium deficiency in the soil or inability of the plant to uptake calcium. To tackle this, use calcium based fertilizer 2 to 3 time during budding, early flowering and fruiting. Biting and chewing insect: These are the class of insect that feed on the leave. Pepper hardly have much problem with this, however, you should be wary of cutworms that may cut tender seedlings after transplanting. If you are into organic farming, you may consider the use of pepper spray mix with ginger and garlic spray. 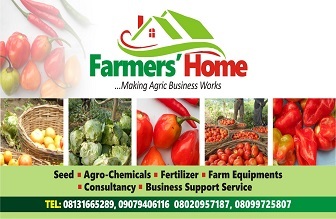 As for conventional farming, use insecticide with the following active ingredients either alone or combined into one package: Lambda Cyalotrin, Cypermetrin, Profenofos, Methomyl etc. Please ensure you follow dosage rate, Post-Harvest Interval PHI and use your Personal Protection Equipment PPE. Sap Suckers: Pepper has great issues with this class of insect such as aphid, whiteflies, thrips etc. They are also responsible for transmitting viral diseases such as leaf curl and bunching top viral disease which are not curable. Viral disease is one of the major challenges of cultivating pepper. Use insecticide with the following active ingredients: Thiometoxam, abamethin, BT, Profenofos etc. Please ensure you follow dosage rate, Post-Harvest Interval PHI and use your Personal Protection Equipment PPE. As for fungicide application, in dry season you may apply little to no application (unless you are doing aerial wetting) but in wet season, it is essential to use fungicide application. Use combination of contact and systemic fungicide every two weeks interval in wet season (or more regularly if heavy rainfall is regular). Some of the common fungicide are Copper spray (organic), Metalaxyl (systemic) Mancozeb and Copper hydroxide (contact). Also go for quality brands (base on recommendation) but not necessarily cheap brands. Harvesting of hot pepper begins from around 80 days after transplanting. Most market would want it red in colour while some prefer green or greenish yellow. Please note that there are also other coloured varieties of hot pepper especially yellow when fully ripped. Harvesting would take place every 5-7 days interval. Ensure you understand the market demand/requirement before deciding what to harvest. Never harvest unripe pepper (not fully red) if your market demands for fully red one. Unripe pepper unlike tomato would not naturally turns red after harvest so make sure in this case you harvest only red ones. Packaging materials defer base on the type or structure of intending markets. You should please understand this beforehand and follow suit. I would focus my explaination on open(general) markets in Nigeria and the commonly used packaging material. 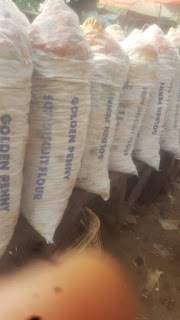 The farmers use 25kg capacity sack (Golden penny or Semo vita sack). The sack is fill and sealed at the top as seen in the picture. The sacks are carefully loaded into vehicle and transported to final destination. Never put harvested peppers in the sack and tie it up unless you are ready to transport this to the market immediately. Your yield is directly proportional to your inputs and management practices. No two farms would have exactly the same yield from using the same variety of seeds. An average yield should be around 4-5 tons per acre. Each bag of pepper would contain averagely 30kg. This means an acre would should give you between 120 to 150 bags. The prices varied from location to another and also fluctuate according to market trend and the degree of demand/supply. An average price in Southern Nigeria market ranges from N7,000 to N20,000 per bag. This should give you an idea of profitability potential. Please note that this is a mere POTENTIAL profit, until you do it right, you would never come close to this and you may even sustain huge losses. I hope this article has helped in one way or the other. Contact us if you need further tailored information and do research further both on theoretical front or practical means before starting and I do advice you start gradually, learning along the trend.